Evening and weekend appointments are available from mid-September 2018 at either Lordswood House Medical Practice or The Royal Orthopaedic Hospital for patients who are registered with University Medical Practice. Please check your post Code before making an appointment. Please follow the Extended Access link to find out more. Please take a look at "Clinics and Services"
Please book in with a member of our Nursing staff. Please update the practice if you have changed address or telephone number - it is vital that we have correct contact details. Please select the Online Services from our Quick Links menu on the right. You must live within our practice area to remain registered with us - look at the practice area map in the New Patients tab to check where you live. The University has introduced Pay & Display around our car park at the back of the surgery. Patients attending the surgery for 90 minutes or less can park without charge in the car park area closest to the surgery. All patients have a named doctor and you will be informed who that is when you register for the first time. However we have an "open list policy" which means you are welcome to see whichever doctor you choose but we would strongly advise trying to see a consistent doctor, especially for long term health conditions. Please see here for more information. We have had our Care Quality Commission visit - see their report on our services. We offer an extensive range of women’s services including advice and supply of all forms of contraception. Contraception is provided free of charge but we only have limited supplies of condoms. Emergency Contraception is available every day we are open by making an appointment or seeing the duty nurse on a walk-in basis. We also offer sexual health advice and advice and prescriptions for HRT. Our nurses provide the majority of these services and appointments can be pre-booked up to 2 weeks ahead, with some also being available on the day. Dr Horton, Dr Yunas and our Sexual Health Nurse, Wendy Galloway offer Nexplanon implant insertion & removals. Dr Hadfield offers Intra-uterine Device (IUD) fittings, including people who have not completed a pregnancy - we are able to make arrangements at local family planning clinics for people who are unsuitable for fittings in the practice. Emergency Contraception is available every day we are open by making an appointment or seeing the Duty Nurse on a walk-in basis. Attend as early as you possibly can. The practice offers free (Besure) self-test kits for men and women for chlamydia. The practice can offer the full range of STD tests for people with symptoms - all the doctors and nurses offer testing for our Patients. Please note that we are not able to offer a full screening service due to the volume of testing needed but are able to test those with symptoms and at significant risk. The Local GUM Clinics are based in the centre of Birmingham at Whittall Street Clinic, Whittall Street, Birmingham. B4 6DH or in the Sexual Health Clinic at Basement, Boots the Chemist, High Street, Birmingham. Appointments can be made for either venue on 0121 237 5700. Alternatively you can visit Hawthorne House in Heartlands Hospital in Bordsley Green. This is run by Dr Boulter, together with our health visitor who is available to see mums & children without an appointment on alternate Monday afternoons. 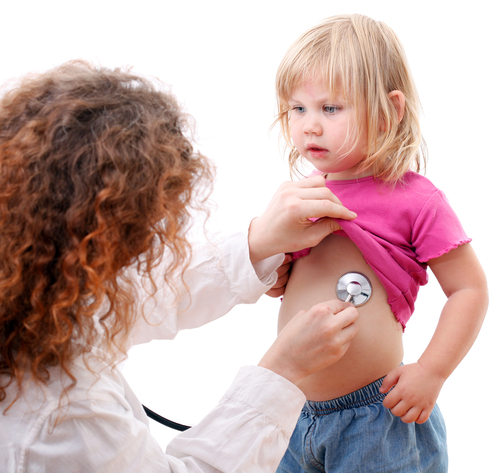 She is able to give advice on a wide range of child health issues including development and vaccinations. Drs Boulter, Hadfield and Basra do the new-born (8 week) development checks - please book an appointment with reception and bring your child's Red Book with you. The health visitor does the 9 month check. The nurses can give childhood vaccinations at any time. Dr Hassan does the minor surgery in the practice, mainly on Tuesday mornings in term-time: the activities include soft tissue procedures and joint injections. Suitable problems include sebaceous cysts, skin tags, in-growing toenails and moles. If you are uncertain about your problem, then please see the nurses or Dr Hassan for advice before booking an appointment. Please note that we accept referrals from other practices in our locality- they should be addressed to Dr Hassan. The nurses and Dr Hassan offer liquid nitrogen treatment for suitable skin lesions like for warts and verrucas. 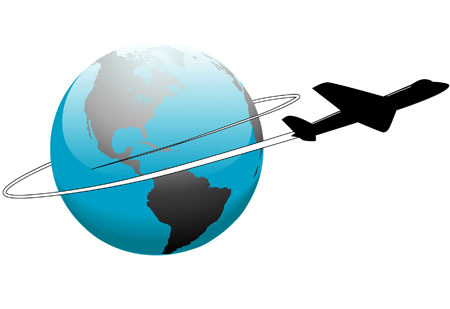 The nurses are able to help with all aspects of travel medicine, in a routine booked appointment. We access the latest advice and recommendations that are tailored to the areas you are visiting. We stock the full range of vaccines including rabies & yellow fever and we stock mefloquine at lower than pharmacy prices. 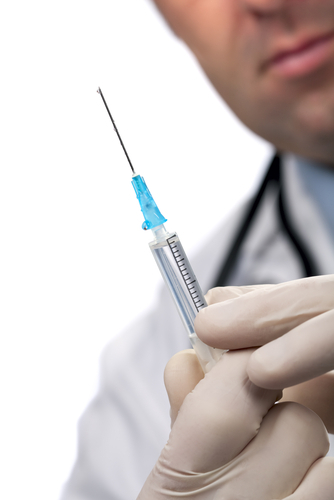 Please see us to start your vaccinations in plenty of time - at least three months before you travel. We have a midwife attached to the practice who is available on Tuesday afternoons. The midwife is based at Harborne Medical practice in Harborne and can be contacted on 0121 427 2511 or 627 2660. Dr Abhi Pal is the principal of The University Dental Practice that is located in the same building as the Medical Practice but is otherwise completely independent. Students are usually able to register as NHS patients for dental care. Sarah Duncton offers treatment sessions within the surgery throughout the week, including some evenings, but only by prior arrangement. She specialises in sports injuries. For further details visit physioart.co.uk. She can be contacted directly for an appointment or advice on 0121 687 3079. Hua Shen provides acupunture on a Friday afternoon. Please phone reception for details. * These services are not provided by the University Medical Practice but by independent practitioners and are private and a fee is payable - they are not available on the NHS. To help us offer the appropriate advice, please fill out and print the form below before coming to see the nurse. We are also happy to offer pre-employment, Camp America, JET and other medicals, usually at 12:00 each day. The cost is outlined in our list of charges. Please note that we are not able to offer well-person medicals as part of our NHS service as they are very time consuming and would lead to fewer appointments being available. They are available out of hours on a private basis however if you would like one. The Counselling and Well-being Service ("CAWS") is provided by the University and is located in the Aston Webb Building on Main Campus. The counselling service is fully independent of the medical practice but we are in close contact in individual cases if this is clinically necessary. The counsellors are experienced in dealing with a wide range of psychological problems particularly exam stress and depression usually in a one-one setting. Any student of Birmingham University may 'self refer' for counselling services by filling in a brief self-referral form at the CAWS reception. Students may also be referred by their tutor or GP. An initial appointment is sent to students within 48 hours of completion of their self-referral form. This appointment is always the first available appointment and is usually within seven days from time of referral though at peak times it may be longer. The maximum wait for an appointment is fourteen days. A rota system ensures that there is a counsellor on consultation duty during normal service hours to respond to students requiring urgent assistance. These crisis management appointments are brief and allow for either immediate action e.g. 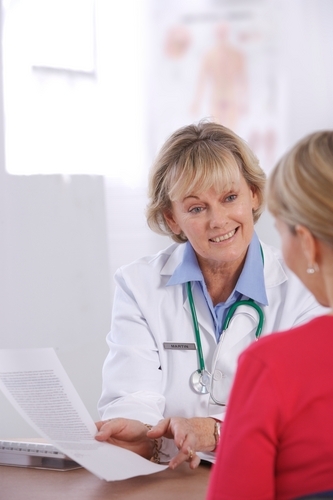 referral to medical personnel or follow up by a routine counselling appointment. The service is free, fully confidential and open access but is only available to any registered student of Birmingham University. The practice also has access to a counsellor via the "Healthy Minds" scheme provided by the NHS - it is free but you need to have your NHS number to contact the service. You are able to request prescriptions in person from the receptionists, or by sending a fax or letter (in each case the prescription will be ready for collection the next day) - if you give us a SAE, then we will return the prescription ASAP: this is particularly useful if you are away from Birmingham e.g. in vacations. Please try to use the re-order slip (which is printed on the right hand side of the prescription) as this helps ensure system safety and accuracy. A regular review with the doctor will be necessary and will be indicated on your prescription - usually this is between every 6 and 12 months. For consistency we try to make most repeat prescriptions last for 2 months treatment. The changes outlined in the leaflet or below do not affect Vulnerable or House Bound Patients. The way you order a “repeat prescription” (a medication you can receive regularly without having to see your doctor every time you order it), is about to change. If medication is ordered on your behalf by your pharmacy, you will now need to order it yourself directly from your GP surgery and your GP will manage the repeat prescription. Medication should only be ordered when it is needed. Check how much medication you have left and only order a new prescription when you have between 5-7 days’ of medication remaining. You will need to allow 2-3 working days for the prescription to be issued. You can let the practice know if there is a reason why you need to order your medication earlier than usual, for example, you will be away when your prescription runs out. If you already order repeat prescriptions from us, your medication will not be affected. Pharmacies that collect prescriptions from GP surgeries will still do so. Pharmacies that deliver medications and other items to you will still do so. Elderly and vulnerable patients will still be able to have their pharmacy order on their behalf – we will inform you directly if you are in this group. 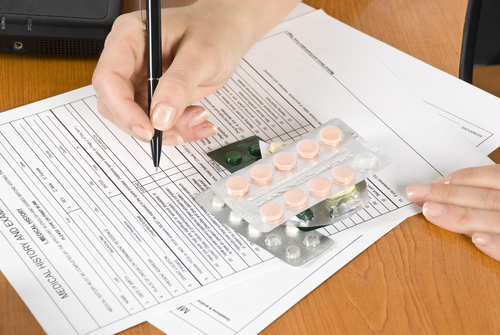 Most patients are able to take responsibility for ordering their own repeat prescriptions. This is safer, and evidence from other areas in the country shows that it may reduce medicines waste. Speak to reception or pick up a leaflet at the surgery. Who do I contact if I need more support? If you feel you might need support ordering your repeat prescription, or you know someone who might need help, please contact the surgery. We will still have an arrangement with several local pharmacies in Selly Oak, Five Ways and Harborne that enables those of a vulnerable disposition or with a specific need to order repeat prescriptions directly from the pharmacy. In these cases the medication will be available for collection 1-2 working days after the request. This service is free and all you need to do is to take your re-order slip to the pharmacy of your choice and enquire about this service. Please note that if a medication review is due then the pharmacy will not be able to obtain your prescription and they will ask you to book an appointment with your usual doctor. You can register to order your repeat medications on-line - details are on the On-Line page. We are pleased to be able to offer these services via our computer system supplier SystemOne. that any information that you send us will remain confidential. Please note that you ideally need to visit the surgery to be issued with a PIN number in order to access these services: please bring photo ID with you. The doctors and nurses can issue details of how to register including log-on details, during a consultation. Note that we need to have a current e-mail address for you.